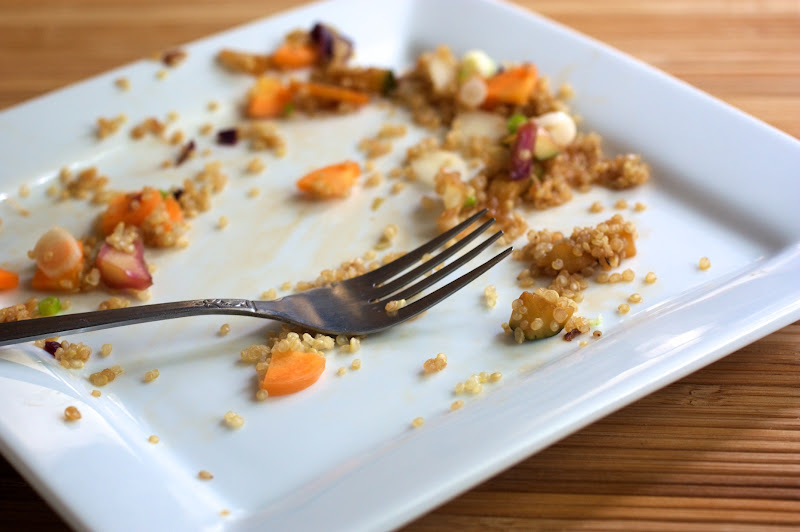 Quinoa and Cabbage Salad | Naturally. A little while back ago I decided to make potstickers that were made up of simple ingredients: cabbage, carrots, green onions, soy sauce, and some rice wine vinegar. I absolutely adored the taste and knew I wanted to make potstickers again. The only problem? I stood there for 45 minutes pleating my little heart out. So, if your in need of a potsticker fix I recommend you try this. This recipe would also be great with rice or any other of your favorite grains! 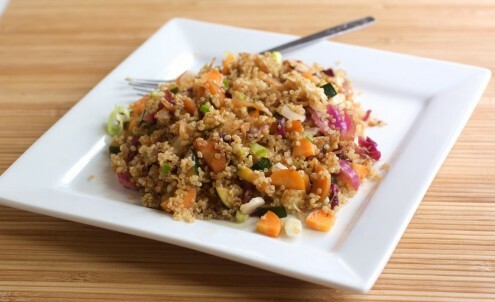 Place quinoa and water in a medium pot, bring to a boil, reduce, and cover. Let cook for 15 minutes until water has been absorbed. While quinoa is cooking, in a pan, heat oil. Place carrots, green onions, and zucchini in pan and saute until vegetables are slightly tender. Add in cabbage and continue to saute until cabbage has cooked through and wilted slightly. Once vegetables are ready, stir in soy sauce, rice wing vinegar, and sugar. Continue to cook until liquid is almost gone, about 1-2 more minutes. 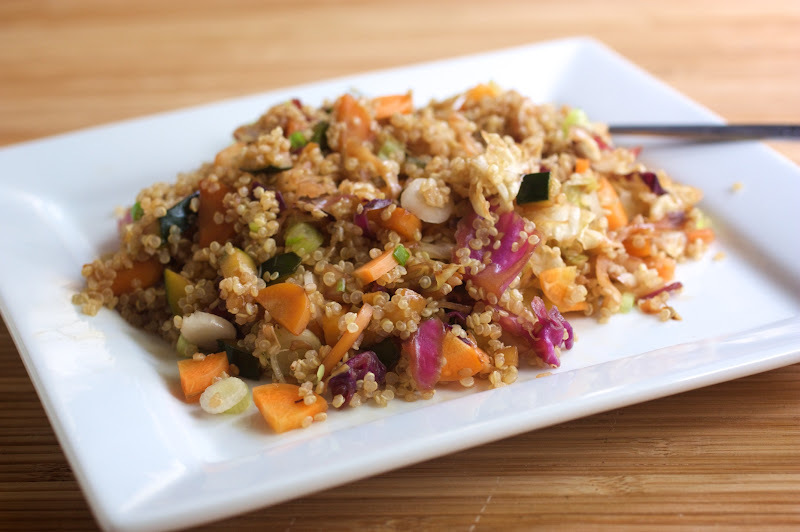 Stir vegetables into quinoa and serve right away. I too recently made potstickers, adn stood in my kitchen (pleating) away as well!!! This idea is genious! Good one!! I made this for dinner tonight to use up a bunch of cabbage from my CSA box and it was great. I made your potstickers last week but I wasn’t up for pleating again tonight so this was perfect. Thanks for the great recipes! I hear you about not wanting to pleat! Glad you liked the recipe!